Today’s guest post is from personal productivity expert Brittany Wheeler. Hope you enjoy it, and let me know if you’d like to see more guest posts like this from experts in business productivity and security. Businesses large or small have moving parts that have to synchronize in order for everything to work properly. Just like the gears of a watch, if something goes off track, the entire mechanism will stop ticking. No matter what your role in an organization, time management can help you keep everything moving smoothly. So here are ten quick tips for effectively managing your time. Delegate and Separate: This is crucial for the executive or small business owner who has many responsibilities. As much as you can, get different people or use different web services to help you with different tasks from marketing all the way to customer service. When you lean too much on one person or one service, it is only a matter of time until things go awry. So take the time to set up the right process for each part of your business. This promotes efficiency, allows better focus, and aids in problem solving. Simplify: Less is more. It’s really that simple. Don’t surround your work areas or customer areas with things that are not needed to get business done. Now you will be able to find the items you need often more easily. Bonus: you’ll look better, too — clutter is not professional. Scheduling: The one thing that many businesspeople really struggle with is conquering the calendar. Everyone wants a part of your day. It can all get very messy. Finding a calendaring system you like and sticking to it is crucial. Check in Dates: No matter who you are in an organization, you have ongoing responsibilities. You may have deadlines to meet, numbers to track, reports to make. No matter what the responsibility is, don’t wait until the last minute to gather up the information you need. By setting up a system of one to two “check in days” leading up to a deadline, you can be on top of any possible issues that may have arisen. If something isn’t working and you won’t hit the mark, you need to know now so you can analyze and prepare. Prioritize: If you barely have time to get your major deliverables done, you shouldn’t add on other tasks that are less important. Know what is crucial to the smooth working of your business, and then be ruthless eliminating everything else. You know what takes a lot of time with little to no gain – remove it. Shift your focus on what keeps your employees and customers happy. Say No: On a related note, saying no is very important to the time management of any executive. In periods where you’re especially busy, you don’t have time for anyone who isn’t helping you get things done. Put up a “Do not disturb unless emergency or customer situation” sign on your office door (or cubicle wall!). Recalculate: When a big task is finished, take a moment and reflect back on it. Is there anything that could have been done differently to make it more effective? They say that lazy people find the quickest ways to do things. You are not lazy, but maybe you can use that mindset sometimes to your advantage by figuring out a way of doing things faster without losing quality. Batches: In the course of a day, you might do some tasks that could be bundled together in one sweep instead of tackled as separate activities through the day. Try some diagramming or mind mapping to see if you can plan your agenda in a more effective way. Buffer: One of the best ways to help with your time management and reduce stress is to add a bit of buffer time. You have times where you need to be somewhere or get something completed by. Try setting your phone timer to go off fifteen minutes before then to make sure you get there and have everything organized. Take Care of Yourself and Employees: Work quality goes downhill fast when people are feeling overworked and underappreciated. This is the same for boss and employee. Even if you’re a busy executive or small business owner, you need to make sure that you take some time to do things that are just about you. Your business is your business, not your life. It’s important but so is your health and happiness. Also as a boss, you have employees that need to know that they are seen and heard. When morale is up, business tends to be up. Will passwords be ever replaced? 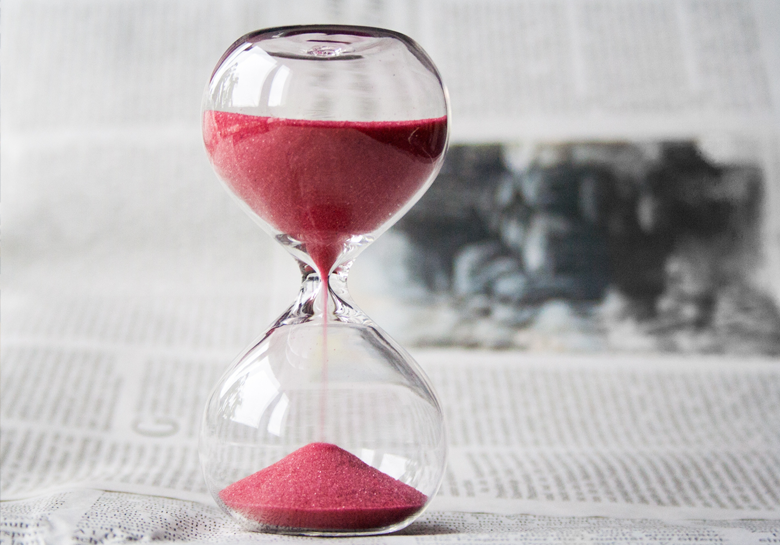 0 Comments on "Guest Post: 10 Ways to Conquer Time Management"